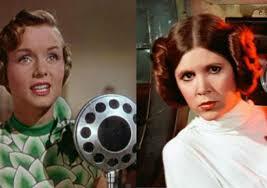 Movie fans recently learned of the deaths of Carrie Fisher and her mother Debbie Reynolds, which occurred within one day of each other. Those with symbiotic relationships, such as spouses married for more than fifty years, sometimes die within a close timeframe from one another. This phenomenon is known as dying of a broken heart. This post will discuss the legal ramifications of deaths occurring within close proximity. This author will assume that the persons are husband and wife. Spouses can pass away in close succession as a result of a sudden event such as an airplane crash or due to natural causes such as failing health in old age. New York State has adopted its own version of the Uniform Simultaneous Death Act. This statute provides that if two or more persons who are heirs to one another die within one hundred twenty hours of each other, that they are deemed to predecease the other. Their estates would then be treated in accordance with the intestate provisions of New York’s Estate Powers and Trusts Law , with their property eventually being inherited by those individuals surviving them in the order as designated by the statute. There are exceptions to the simultaneous death statute. Such provisions do not take effect if the result would be that the person’s estate escheats to the state. Escheat means that when there are no surviving relatives who may inherit, the state receives the property. In addition, the beneficiary designations in a person’s life insurance policies or specifications contained in legal documents such as a will or trust take precedence over the statute’s simultaneous death provisions. Your attorney may advise a couple to include “mirror image” clauses in their wills wherein the wife is deemed to survive the husband in the event of deaths occurring within a certain period of time from one another, preferably in the range of sixty to ninety days. There may be estate tax concerns that determine which spouse should “survive” the other. Also, a person may wish to include a provision stating that a particular person should be considered to have predeceased her if she has personal reasons to disinherit a particular person. The rationale behind simultaneous death statutes or drafting wills and trusts to dictate which spouse survives the other is as follows. Duplicative estate proceedings and property transfers can be avoided. It does not make sense to probate the husband’s estate, which may have named the wife as the primary beneficiary, if the wife is also deceased. Rather, it is much more sensible to merely probate the wife’s estate and transfer the property to the final beneficiaries of the parties, such as their children. We suggest that our readers consider their estate plans and contact an experienced attorney who may recommend including simultaneous death provisions in your will or trust.